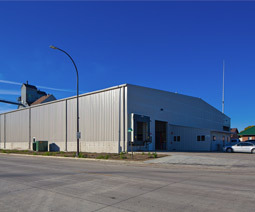 In 1989, Rob Daugherty purchased a unique oat cleaning and feed milling facility in Ada, MN with the intention of supplying the racing industry with premium oat-based products and trade-associated commodities. The new company was called Trade One, Inc. Along with the purchase of the company came a list of product trademarks—one of them was “Triple Crown”—an established name in racing feed dating back to 1955. 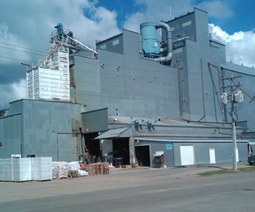 Immediately, the facility received several unique improvements, allowing specialty grains and oats to go through a triple cleaning process to be packaged or processed further in a steam crimping/flaking system. The mill improvements also included a feed mixing system that gently mixed feeds at a slow rate. This reduced breakage of steam flaked or crimped grains while guaranteeing equal dispersion of vitamins and mineral additives. The mill was perfect for the distinct type of feeds required by the racing industry. Having the necessary equipment was just the first step in building what is now Triple Crown Nutrition. 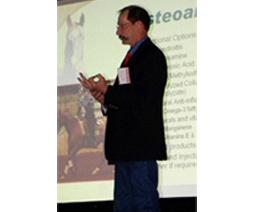 We searched the industry and in 1990 found Dr. Bill Vandergrift, an equine nutrition expert, who had a similar vision to create a prestigious product line using only the best ingredients. He incorporated technology called Equimix; a blend of prebiotics, probiotics, organic minerals and other key nutrients to combine with the quality grains processed at the mill. 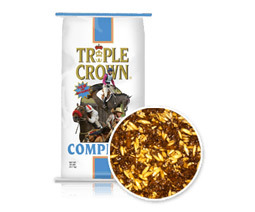 In 1995, we introduced Triple Crown Senior as one of the first formulas ever developed for older horses, using shredded beet pulp as our base ingredient well before any other feed company. This product firmly established our relationship with our customers and set the future direction for the next generation of feeds. The success of Senior allowed us to better understand the importance of high fiber, low carbohydrate diets before there was any discussion of the improved health benefits or metabolic disorders in horses. 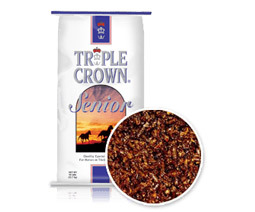 In 1997 we introduced Triple Crown Complete, a lower protein version of Senior. Early on, we recognized the importance of proper amounts of fiber in the equine diet. 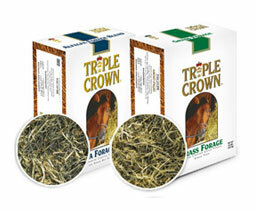 While most Triple Crown feeds are high fiber and are considered complete diets, proper fiber length was also important for horse owners who have problems with hay. 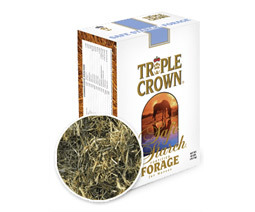 So, in 1998 we introduced Triple Crown Chopped Grass Forage and Chopped Alfalfa Forage. Both products were designed to supplement hay when quality or quantity was a concern. Another innovation in equine nutrition was Triple Crown Lite, introduced in 1998. A significant horse population did not require a lot of calories, so Lite was designed to provide necessary vitamin and mineral nutrition in a palatable feed with a low feeding rate and minimal calories. And as Cushing’s syndrome and Insulin Resistance (IR) gained prominence, we saw a need to continue our low soluble carbohydrate product line. In 1999 we created Growth, a feed for foals and pregnant and lactating mares, which completed our shredded beet pulp-based line of feeds. 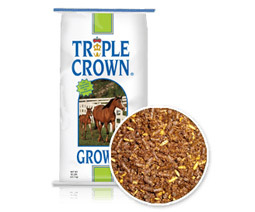 In 2003 we formulated Triple Crown Low Starch, a pelleted, low carbohydrate feed using many of the same ingredients as Lite, but higher in fat for horses needing more calories in their diet. As we better understood metabolic problems, we formulated Safe Starch Forage in 2007 to address concerns of horse owners who were going to extremes to remove sugar and starch from the diet by soaking their hay. This innovative product included a vitamin and mineral premix pellet in the hay to provide a complete diet with less than 10% non-soluble carbohydrates (NSC)â€”a truly complete diet with a significantly improved fiber length. Recognizing that forage formulations offer many opportunities to enrich the lives of our equine customers, in 2012 we built a new facility next to our mill in Ada to process hay for our existing chopped forage products, with an eye toward future innovations. On January 3, 2013, a devastating fire at our plant in Ada destroyed the original mill and damaged our new forage production plant. While the mill will not be replaced, the forage facility has been repaired and we are ready to tackle the future with more innovative products for the health and benefit of our equine friends. 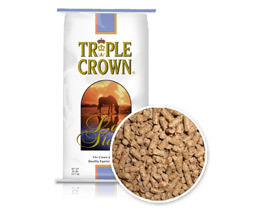 Triple Crown is manufactured in over a dozen feed mills across the country. While dealers are independent and make their own stocking choices, we are established in over 1,200 dealers and constantly working on increasing that number to meet growing consumer demand. Customer feedback and interaction is always welcome and the products designed at Triple Crown were conceived over the thousands of discussions we personally had with horse owners over the years. We hope you find our website informative and always feel free to call, email, online chat or use Facebook, Twitter or Linkedin. We’re looking forward to hearing from you soon. 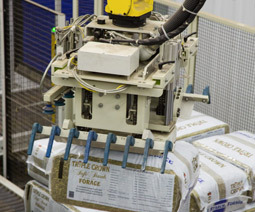 As we were developing new feeds, we were determined to provide the best customer service in the industry. Some large feed companies sell many products other than horse feed, so talking with a feed representative about your horse could sometimes be frustrating. We didn’t want to be another company that just hands a customer a brochure. We believed a call to our toll free number, an e-mail or a discussion at a trade show should be an informative discussion to solve your feeding problem. 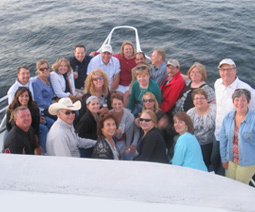 The drive to provide timely and accurate information continues today with a dedicated customer service staff. We constantly train our personnel on the most recent developments in the horse industry to expand our knowledge beyond just nutrition.